Most everyone knows what a cardinal looks like; being named after the red robes of the Roman Catholic Cardinals. Their song you probably also recognize as either purty-purty-purty or sweet-sweet-sweet. 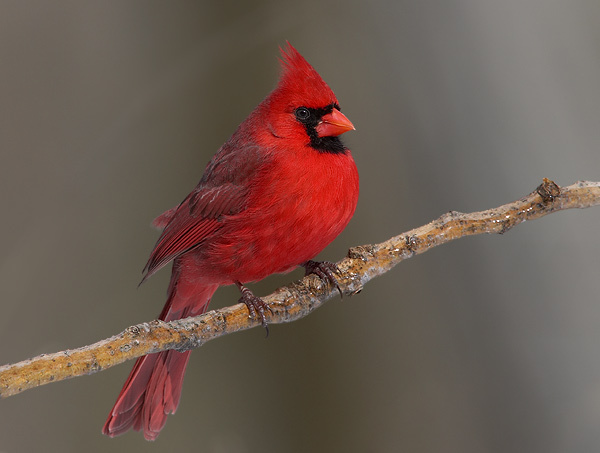 I have these beautiful red birds on the lower ridges of the farm, but for whatever reason they don’t come to the higher elevations. As a very territorial bird, perhaps there are birds up here that they don’t get along with. Is there anything more stunning than bright red cardinals dancing across the white snow in search of food? 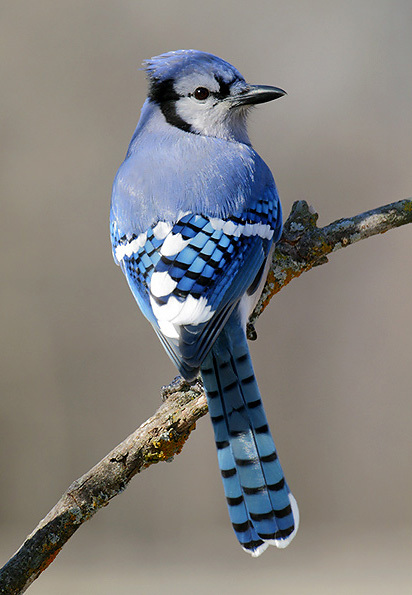 As one of the larger and loudest of the songbirds, the Blue Jay is also among the most gregarious. I guess it is no surprise that the Blue Jay is related to the Crow and Magpie. They appear in the hundreds at my upper level feeders, staged in the distant trees, the near trees, and surrounding grass. They must come from miles afar to be in such numbers throughout most of the winter months. Their main song is jay-jay-jay, but they are also known to queedle-queedle-queedle, as well as mimic other birds such as hawks. The Blue Jay buries seeds, acorns and nuts for future use and as such has earned the title of nature’s tree planter, credited for reestablishing oak trees after the last glacial period. They are a striking blue contrast to the green grass when waiting their turn at the feeders. An innovative features and biological...birds must live.